I have spent a lot of time talking about marketing on the Gym Insight Blog. As part of that effort, I’d like to mention a metric that can give you the big picture. It can be a real insight into the potential scope for expanding your gym or small fitness studio. The metric in question is the Total Addressable Market (TAM), which is the number of people who qualify as customers within reach of your business. This number indicates how much your fitness enterprise could earn if it did earn everything there is to earn, as it were. TAM is something that startups and growth-stage companies in the tech industries whip out in presentations and funding pitches to explain the big picture. The reason is that banks and other funders, such as venture capitalists, use it is to get a sense of how big you think your market is, and how carefully you analyzed your market. TAM is sometimes referred to as total accessible instead of the addressable market. It’s the set of people who could, in a perfect world, use your gym. It is a subset of the whole population. If you run a HIIT franchise, only the community members that who have reached a minimum level of fitness will be part of the available market. The Top Down approach which looks at the market as a whole and filters for the factors that define the limit of your service. The fitness business is consumer driven so you can get a substantial volume of information from the government. If you’re in the U.S. market, you can get most of what you need from the Census Bureau. You can also purchase marketing directories and other reports that give up-to-date consumer information in your community and region. For example, the IHSRA produces annual reports about trends and conditions in the fitness industry. Of course, you may be able to find adequate information online or at your public library without spending a dollar. The Bottom Up Method looks at your past and present results and extrapolates your future potential based on increasing your sales capacity. If you add a new advertising channel or hire a gym sales specialist to close the deal on more memberships, you can estimate the proportion they will add to your current revenue. The Value Created Model is the best estimate of what your products and services can generate at a given price. Alternatively, what the price would have to be to achieve a given result by offering a product or service to your customers. This approach to your TAM analysis asks whether you can innovate in some way to open new fitness markets you increase the TAM. In fitness, the increased value might come from working with special populations or license a successful branded fitness system. If you invest in a Peloton Tread or bike, it could appeal to out-of-town visitors who subscribe to the system, altering the equation for market size in your favor. So, what happens when three different methods generate wildly different answers? The first answer is to apply common sense; determine which number looks most realistic and question why the others are different. If you adjust your assumptions and variables of each approach, you may find a point where they look consistent. Total Addressable Market is just one of many calculations that will help you define success. The important thing is to capture the metrics that give you the best understanding of your potential for success and your progress toward it. If you are seeking investors for your business, you need to know your TAM. It is a number that seasoned investors and venture capitalists expect you to have. 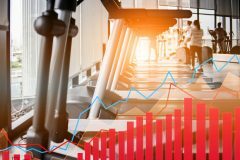 Of course, if you can start a fitness business without borrowing capital or bringing in partners, conducting a TAM analysis can be good for your marketing and plans for the future. Independence from bankers and VCs is a beautiful thing if you can have it. Knowing this kind of financial number helps you, whether you need funding or not; having a quantity for your Total Addressable Market will put a little more muscle into your business calculations. Fagan, Lawrence. 11 Special Populations That Could Change Your Club. March 3, 2018. https://blog.gyminsight.com/4909-11-special-populations-that-could-change-your-club/ (accessed Mach 17, 2018). —. Finding Your Retention Rate and Why It Matters. March 22, 2016. https://blog.gyminsight.com/3741-finding-your-retention-rate-and-why-it-matters/ (accessed March 29, 2016). Sleeper, Jared. How to calculate your total addressable market and make a great TAM slide for investors. https://www.forentrepreneurs.com/calculating-tam/ (accessed March 17, 2018).